This term, Year 3 have been studying the topic Heroes and Villains. Within this subject, we have been looking at fictional and non-fictional characters for these categories and also, linked to our RSE, looking at similarities and differences as well as stereotypes that we often see in society. This term we have been reading ‘The Lion, The Witch and The Wardrobe’ by C.S.Lewis and have been using the text within our English and our guided reading lessons. The children have thoroughly enjoyed the text and enjoyed how this story develops. We have linked this to our topic and our RE lessons because the great Aslan is a representation of Jesus in the story. We have therefore been able to draw lots out of the text to help us get a better understanding of ourselves and the world around us. 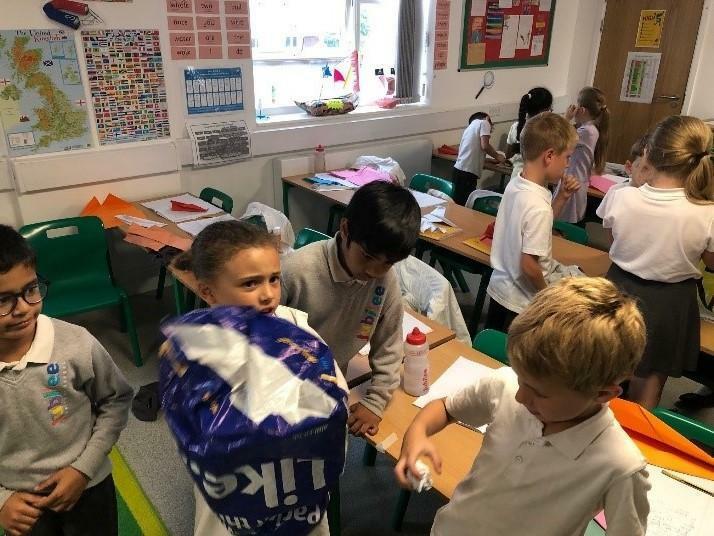 The children in American Eagles have been learning lots about adding and taking away money, shapes and geometry, statistics, time and multiplication and division. All the children have progressed well this term and are cementing their understanding in these topics. 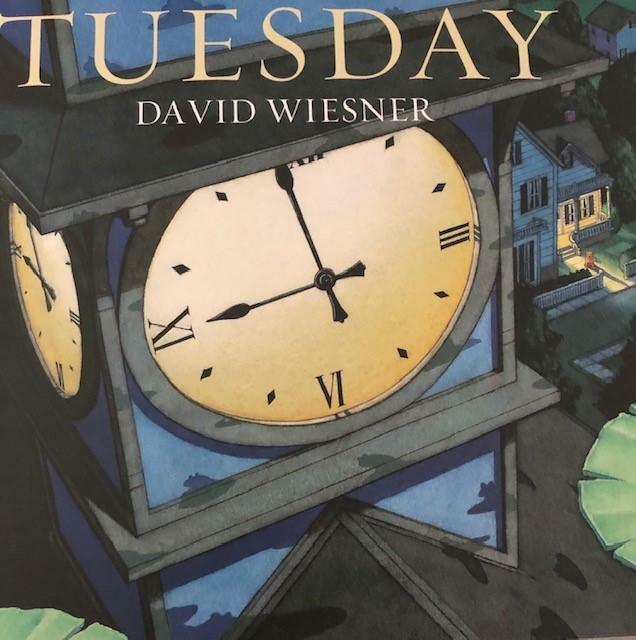 In the first week of this term, we looked at a picture book called Tuesday. This was a story about flying frogs who caused havoc throughout a town during different parts of the day and night. This helped embed the children’s understanding in time and we could ask many questions around this in our English and our mathematics work. This term, American Eagles have been studying light. Linked to our topic ‘Heroes and Villains’ we have been looking at light, darkness, and all the properties around these. The children have been busy investigating things in the dark, what things are transparent and translucent, and hypothesising a lot about what they think might happen. This term our topic has been ‘Heroes and Villains’. The children have really understood what makes a hero, because of this we decided this term to talk about ourselves and about our differences. What makes us different? Why are we different? We were then able to talk about our bodies, what jobs our parents and grandparents do and about stereotypes in today’s society and what we can do to challenge these. We in American Eagle’s have had lots of fascinating conversations that have led to many debates about whether or not the children agree or disagree. The important thing is that all children identified that we are all different, which is a good thing, but that also we are all equal. This term American Eagles have been immersed in the ‘Scrumdiddlyumptious’ topic. We have been busy investigating different meals, writing about Charlie and the Chocolate Factory and looking at how food and exercise affects our bodies. It has been great to see all the children getting fully involved in all our learning, which has meant they have really understood the concepts explored during this topic. We have been reading ‘Charlie and the Chocolate Factory’. Linked in with this, we have also looked at biographies, how they imagined Mr Willy Wonka to have grown up and what his family life might have been like. We also studied adverts and the children created, designed and advertised their own sweets. The children then had to try to sell their products to the rest of the class so that they could use lots of interesting vocabulary to make their sweets sound delicious. We also had our poetry day where American Eagles learnt some World War poems and the children had to write their own poetry about the beaches of Dunkirk. The children in American Eagles have been learning lots about multiplication and we have focused on our 4 and 8 times tables. We also looked at how we turn and how clocks turn. We studied quarter turns, half turns and three quarter turns. Once we mastered this, we then looked at doing this clockwise and anti-clockwise. 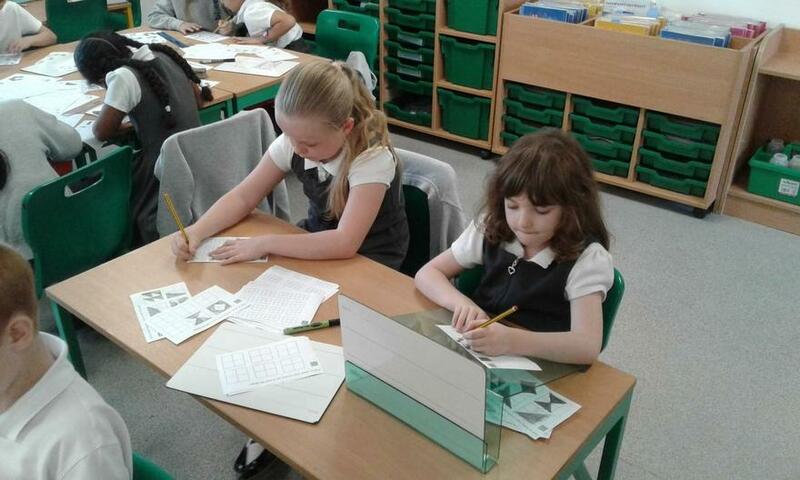 The children also really enjoyed adding and subtracting three digit numbers from ones, tens and even hundreds. Many of the children enjoyed being able to do these calculations mentally. Like English, we take great pride in our maths and American Eagles are always striving to push the limits on what they already know about what they have learnt. 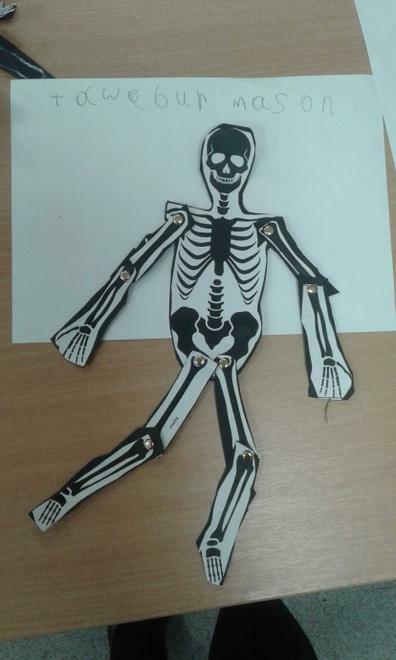 Year 3 have been learning about their bodies, how these work and things they help us live long, healthy and happy lives. 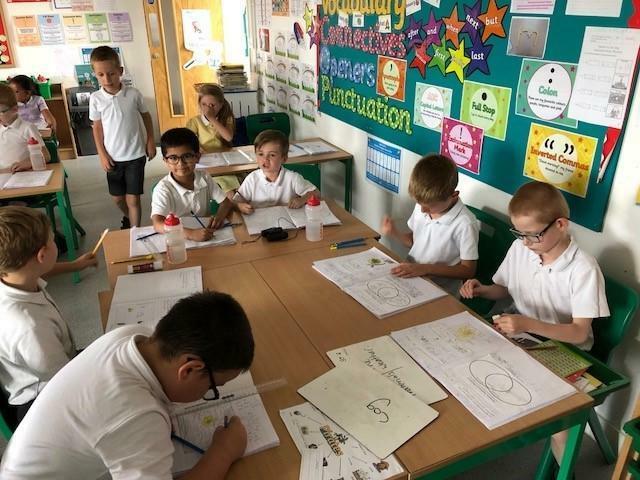 The Children have really enjoyed adding to their learning from what they were taught in previous years and they have really grasped the subject well. The children have really understood the concepts within this topic as they have in previous years. Mrs Biddlecombe has loved teaching American Eagles their science lessons this term and cannot wait for their next topic on light. 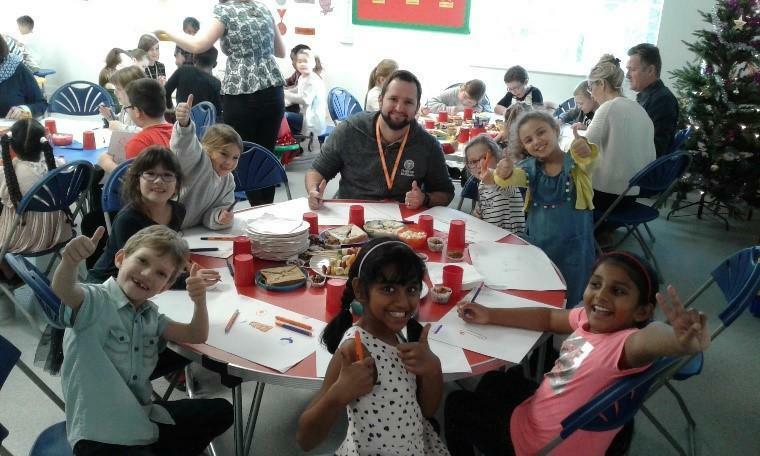 In week 6 American Eagles and Canadian Bears joined forces to put on a topic day that culminated in a tea party with some very important guests of ours. 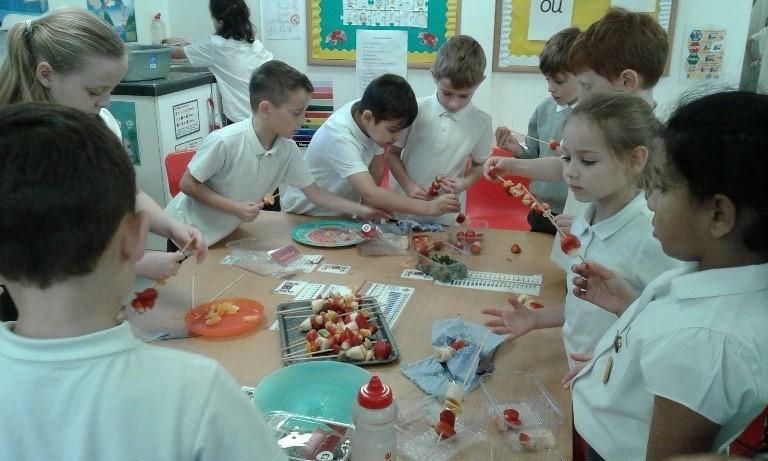 The children loved making all of the snacks and refreshments for the event and were so pleased that Mr and Mrs Pattison, Mr Joubert, Mrs Crampton, Mrs Nadesan and Miss Payne could join us for the spectacular event. The children learnt how to organise the event, create the invites to be sent out, make all the refreshments and even make the tea party room look colourful and inviting. We had a great day and have really enjoyed putting on these events for the children to show off what they can do. This term American Eagles have been looking at the Might Metals topic. We have been busy investigating different materials, writing about the Iron Man and creating our own contraptions. It has been great to see all the children getting fully involved in our learning, which has meant they have learnt so much! We have been reading the Iron Man. This fantastic book has enabled the children to think creatively about our topic, as a whole, but also to engage with the language and the emotion behind the text. American Eagles have enjoyed acting out parts of the book and writing down how it made them feel. After the children had written a fantastic Big Write piece, they watched the Iron Giant, which is based on the book. They had to compare the book to the film, as they are quite different. The children in American Eagles have been learning about fractions of shape and of number this term. We looked at different ways that we could divide a shape to make a half, a quarter and three quarters. Children really enjoyed investigating the possibilities for making ‘half’ and enjoyed thinking creatively. This enabled the children to think mathematically and proved essential for them to get a deep understanding of how fractions translate between shapes and numbers. Year 3 had the amazing Dr Dude from Mad Science come in and talk about forces, friction and mighty metals. The morning comprised of learning about different scientists, forces of objects, how things made of metal fly and air pressure. 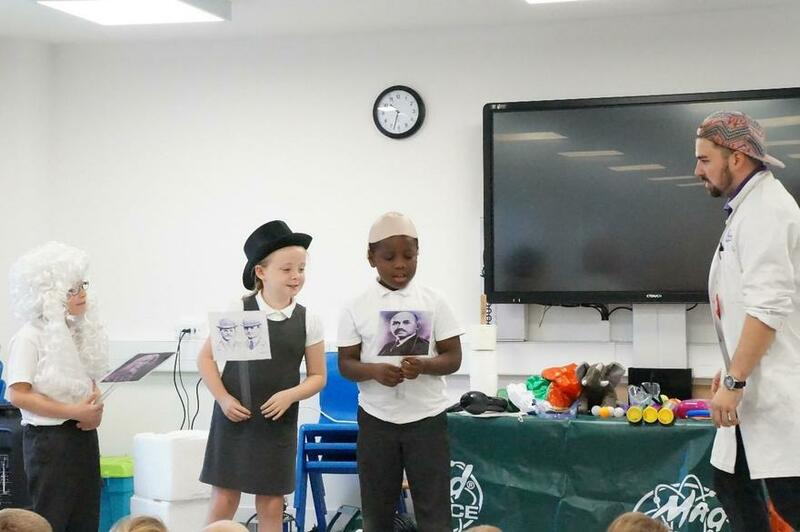 Year 3 loved investigating with Dr Dude and came up with some impressive presentations about what they learnt. 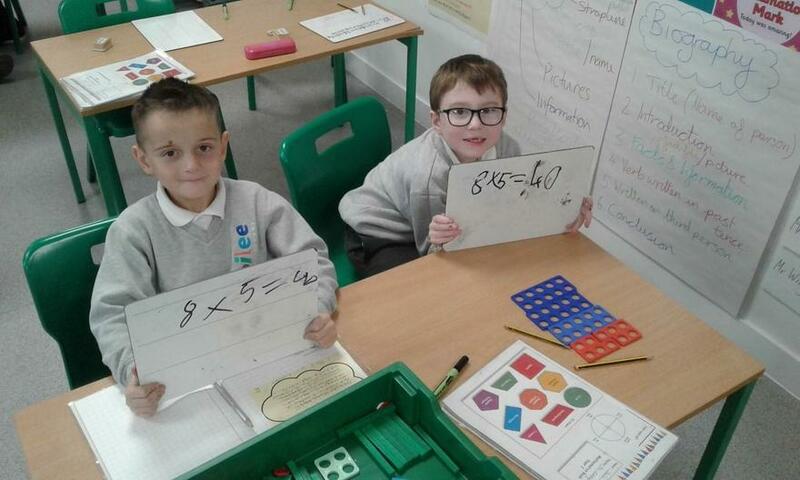 In mathematics this term, we have been learning about multiplication, division, addition and subtraction. We have also been learning about fractions of shape and numbers and statistics. 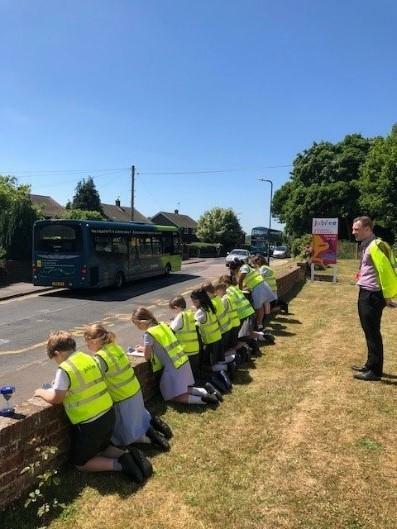 As part of our statistics lessons, we linked this into a traffic count, which took place at the front of our school. 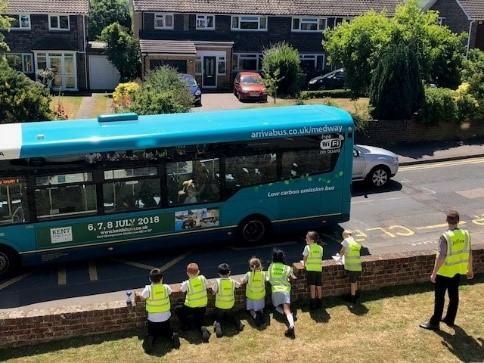 Children were allowed 5 minutes to record the different types of traffic that passed Jubilee Primary School. Due to the sinkhole, this has made the traffic a little more interesting in recent weeks. Children then had to present their data in a block diagraph in their maths books. The children really enjoyed this and they have been working hard because it was a real life context. 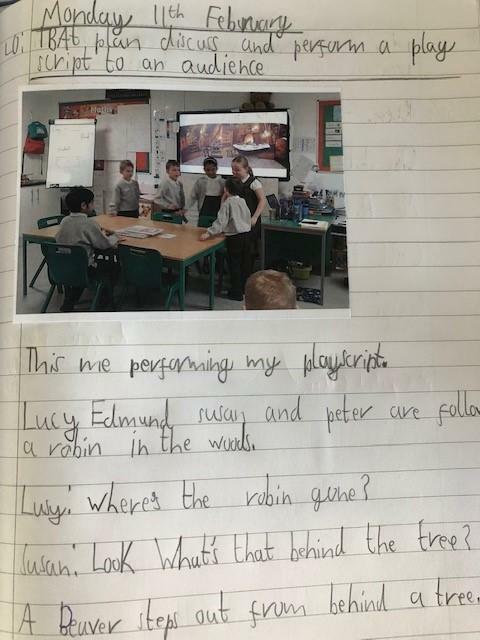 This term we have studied different texts ranging from poetry, pirate stories, recounts from their holidays, as well as reading a range of various texts. The children’s writing has improved so much from the beginning of the year. The children are able to write for lots of different purposes and use a range of punctuation to demonstrate they can write fluently. I have also been impressed with their imagination and their determination to create tensions within their stories to make their writing even more gripping. This term we have been looking at animals and their habitats, growing plants and it has also been our Science Week! 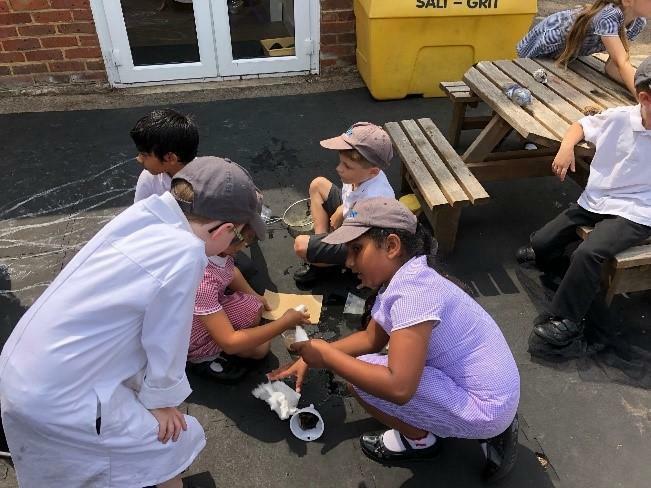 The children have been learning lots about how things grow and the functions of a plant as well as conditions that are conducive to plants growing strong and healthy. As part of Science Week the theme was ‘Let Us Investigate’. The children had a lot of fun investigating in a range of ways. The children really enjoyed the muddy water experiment, as well as looking at Leonardo da Vinci for scientist day. This included looking into da Vinci’s flight inventions and how we could incorporate an investigation around flight. This term Year 2’s topic has been Land Ahoy! The children have been whisked to the far ends of the earth to discover the treasures of the deep! 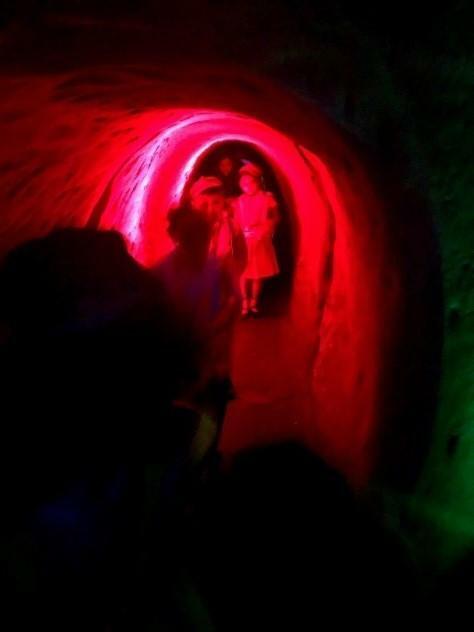 Year 2 really enjoyed their trip to the Smugglers Adventure, Hastings. 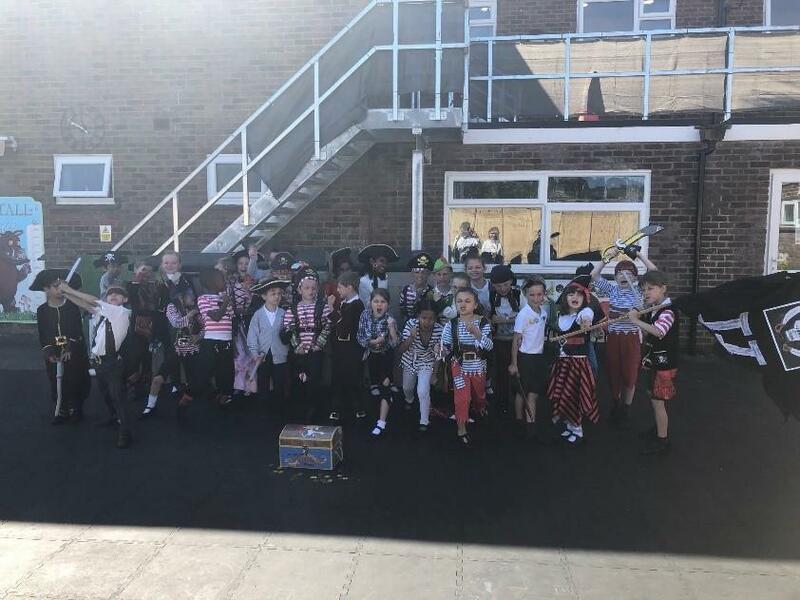 Here they learned about real life pirates that used to smuggle different items into the country, such as tobacco, rum, tea and certain herbs and spices. This lead the children to think about what life must have been like for a pirate. This really helped when it came to Italian Ibex turning into pirates for their parent assembly. The children really enjoyed displaying a few of the things that they had learnt over this term. It has been so enjoyable stepping back and seeing the children’s imaginations come alive through their enriched curriculum.